Tamping is the process of compacting ground coffee beans in a filter cup before use. Tamping evenly distributes the coffee beans and firmly packs them into the cup. This is needed to slow water flow through the filter cup, let water spend more time in contact with the beans and pass through the beans evenly. Tamping extracts more flavor into your cup. 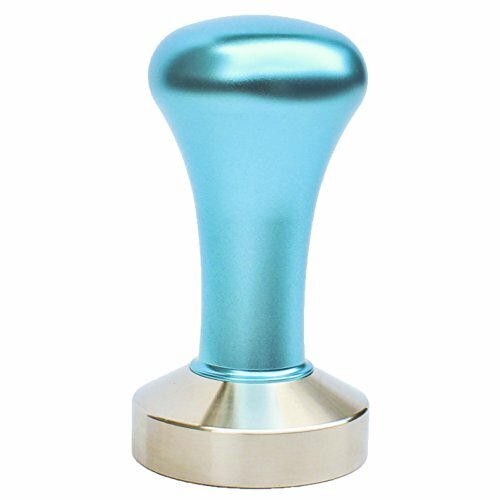 For serious coffee drinkers, Zoie + Chloe's coffee tamper is a must have. Made with premium stainless steel. Hefty weight but not overly heavy. Flat and smooth bottom distributes pressure evenly and makes it easy to tamp down coffee. Fits all types of espresso and coffee machines. Perfectly ergonomic. Feels great in the hand. Convenient to grip and press. Wipe with wet towel. Hand wash only. If you have any questions about this product by Zoie + Chloe, contact us by completing and submitting the form below. If you are looking for a specif part number, please include it with your message.